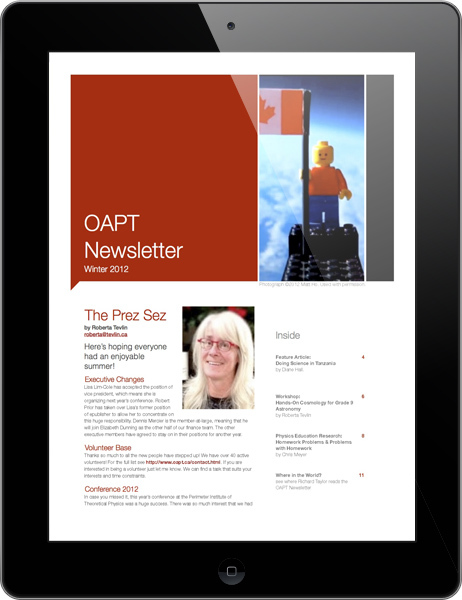 Photo: ©Stewart Butterfield. 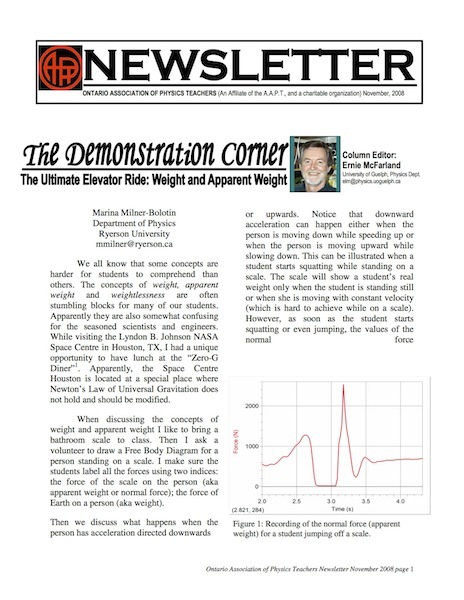 Used under a Creative Commons Attribution 2.0 Generic license (CC-BY-2.0). 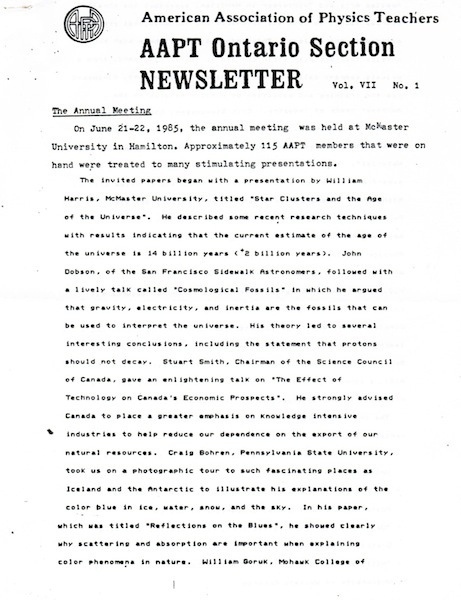 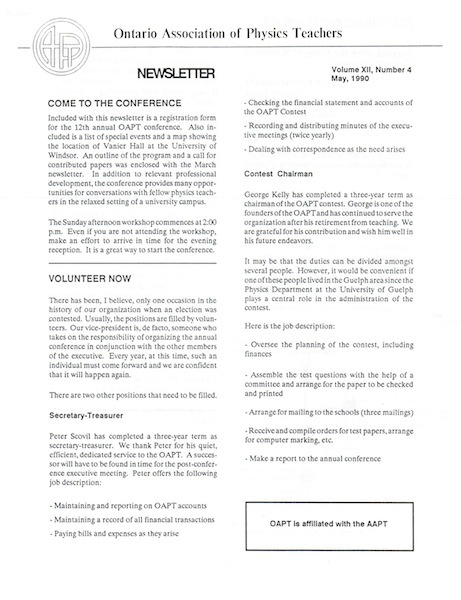 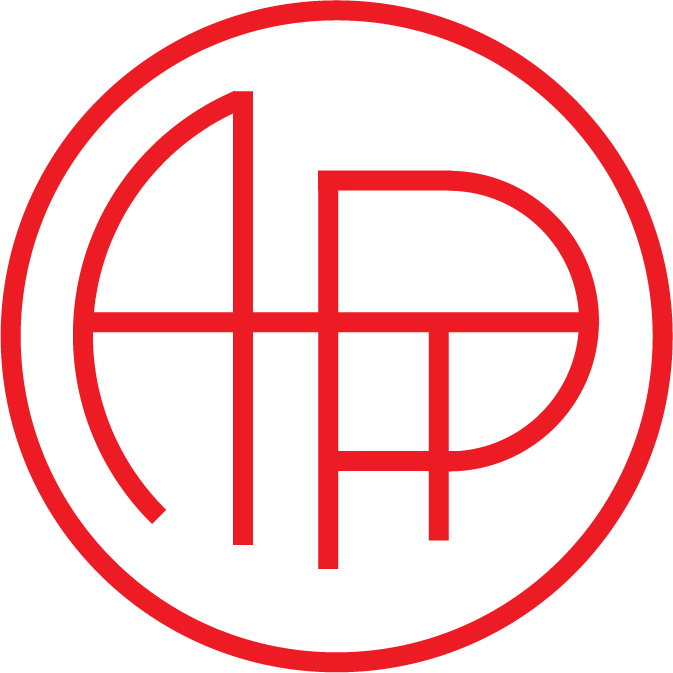 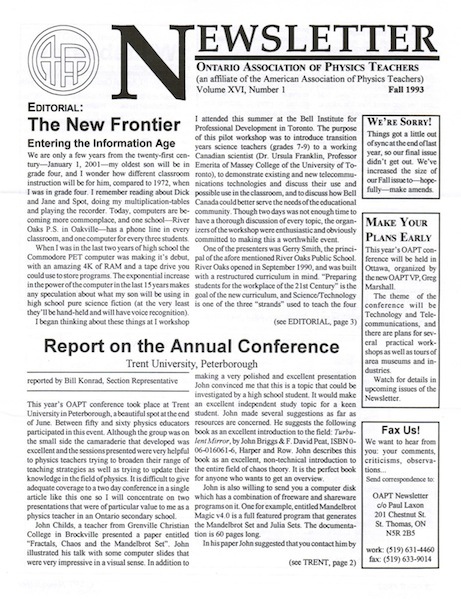 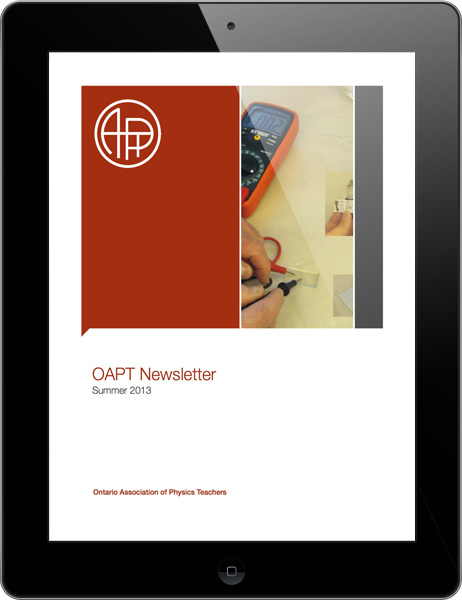 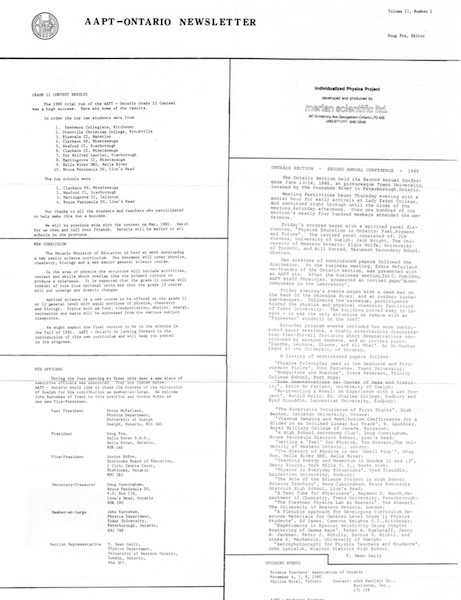 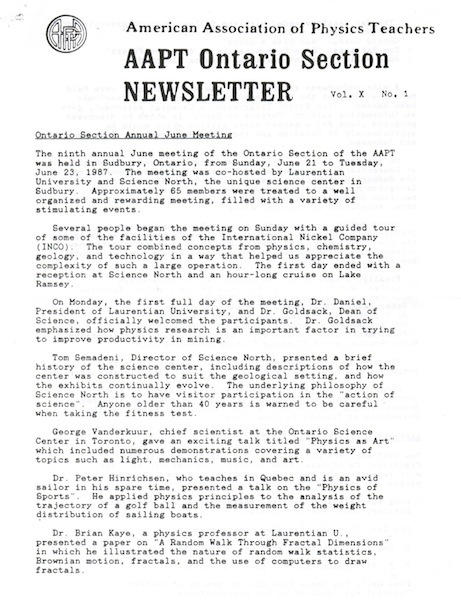 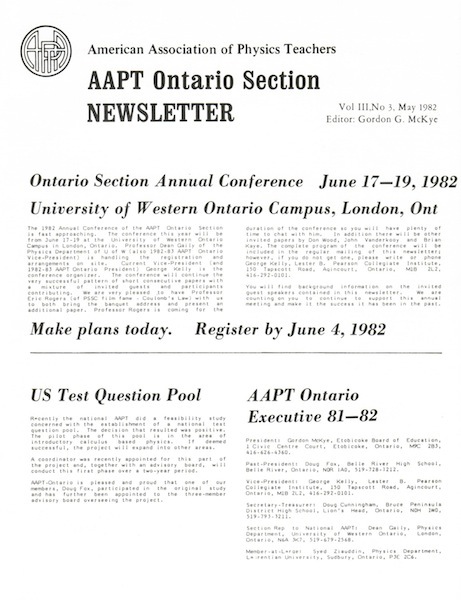 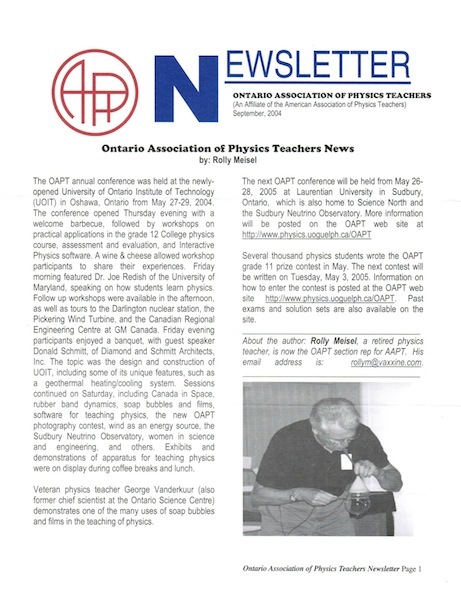 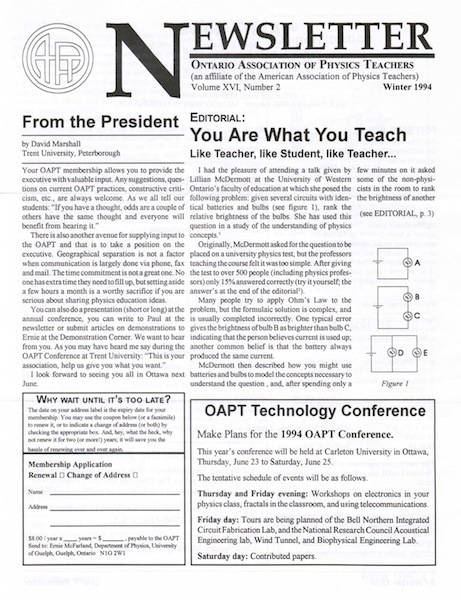 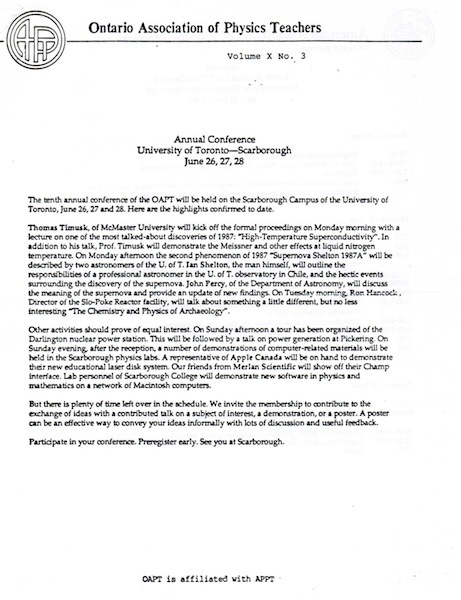 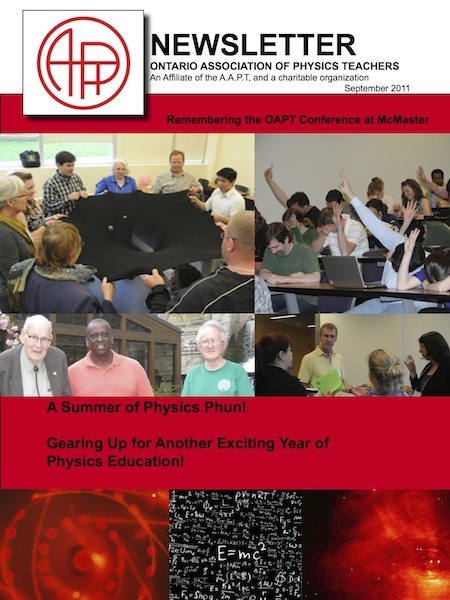 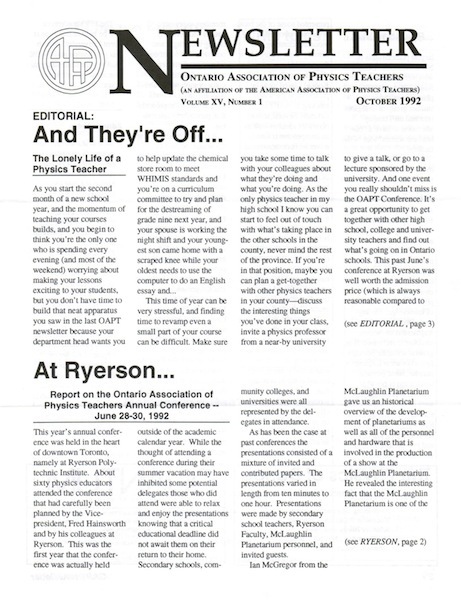 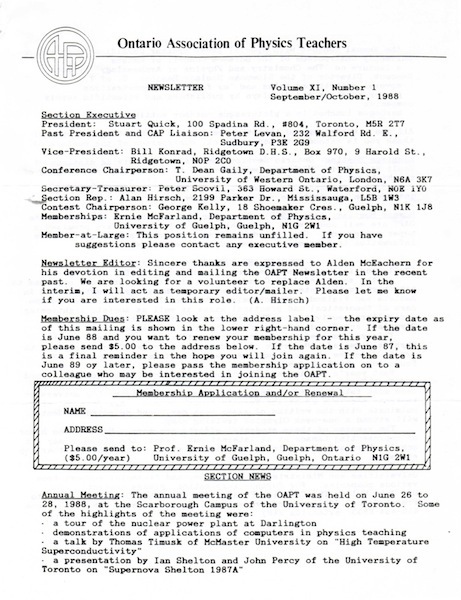 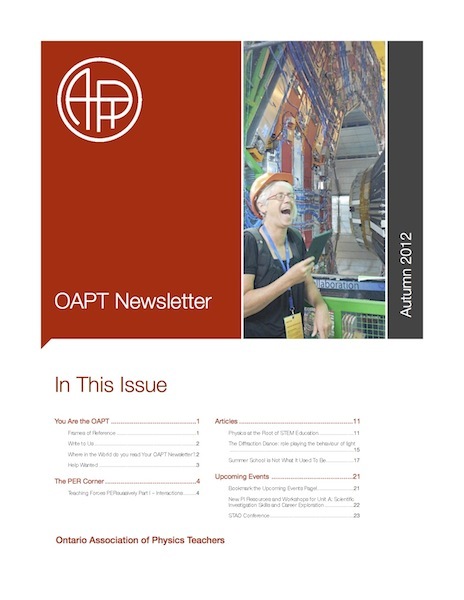 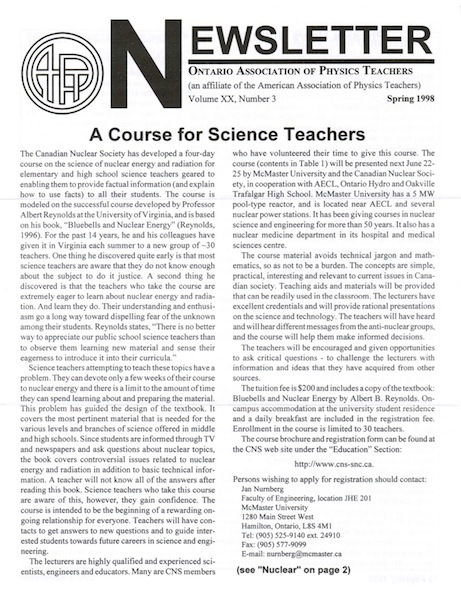 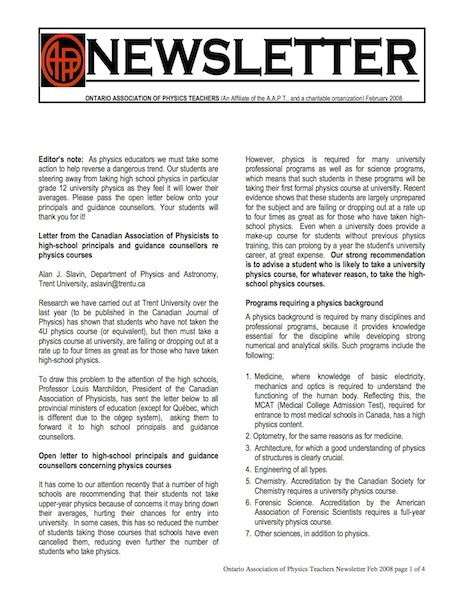 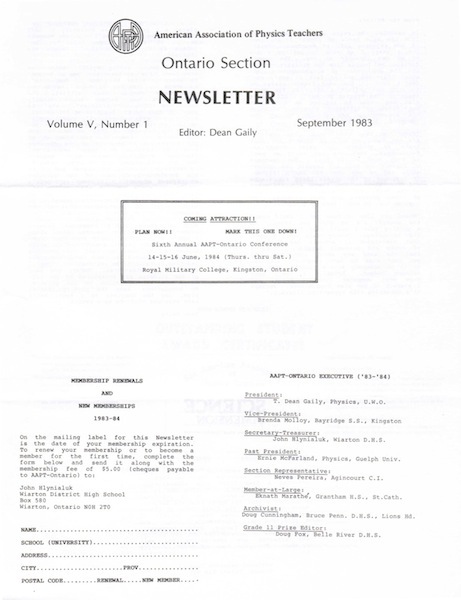 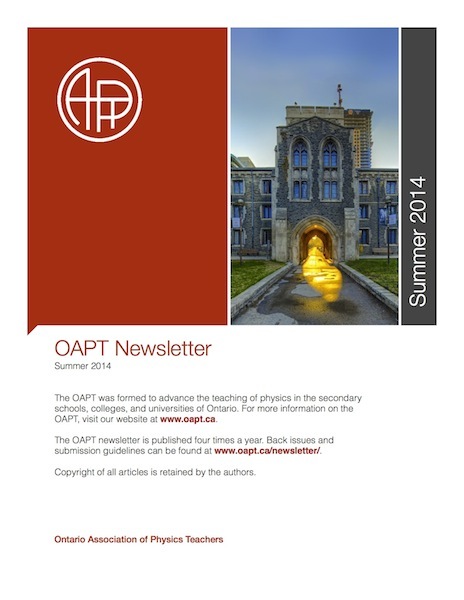 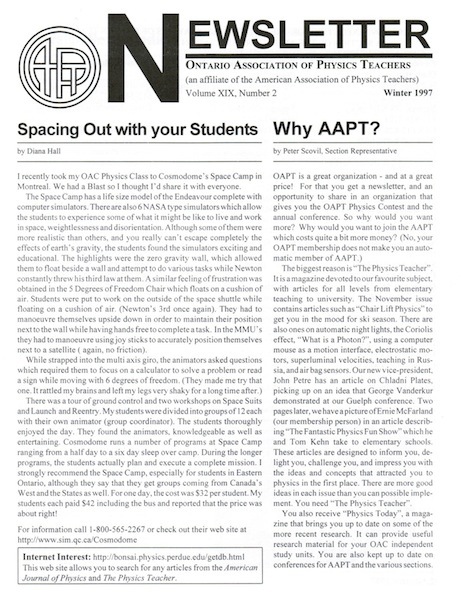 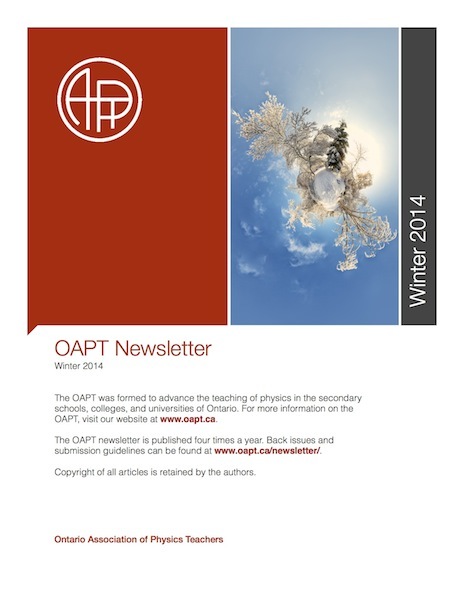 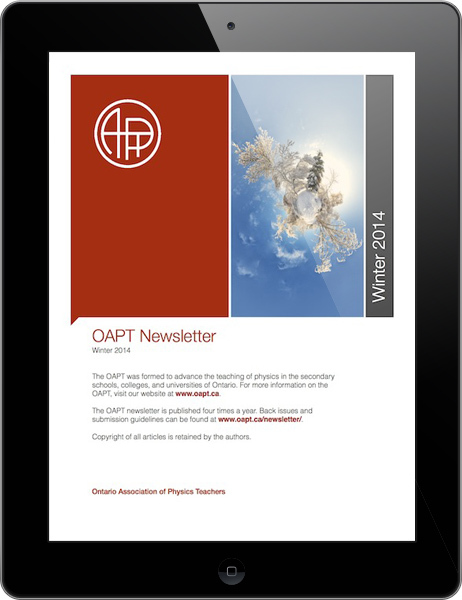 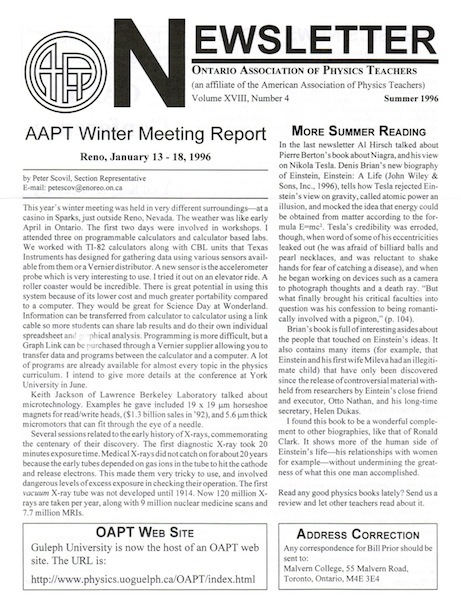 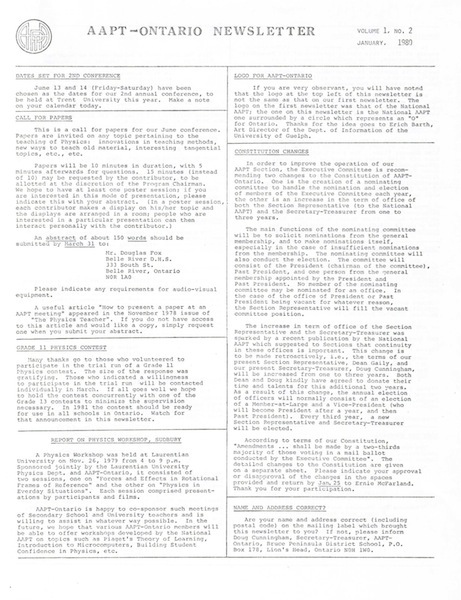 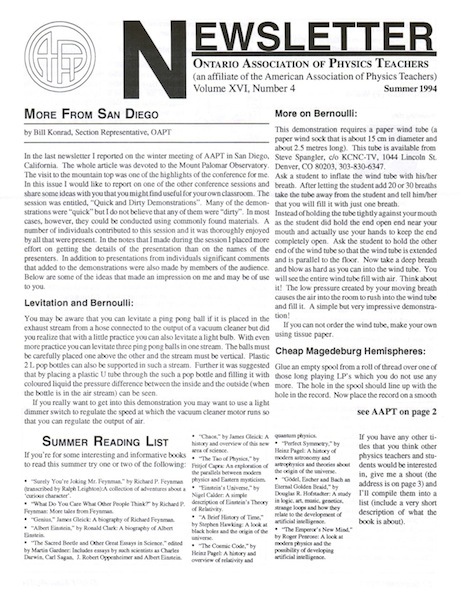 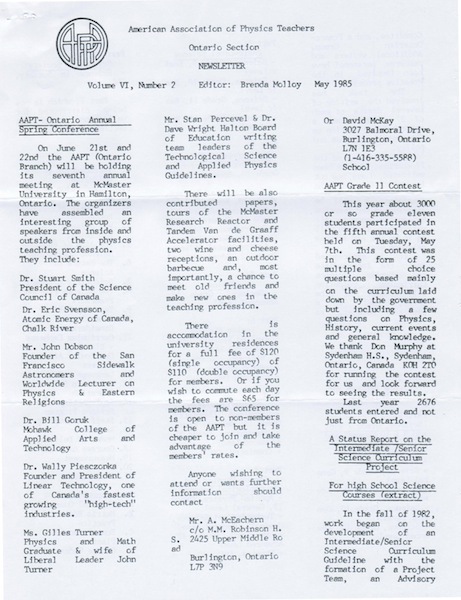 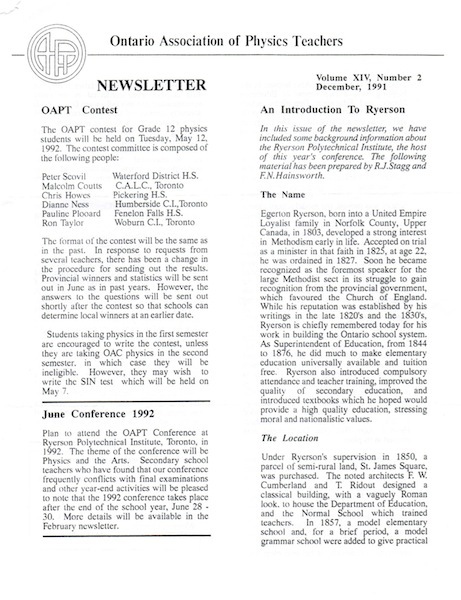 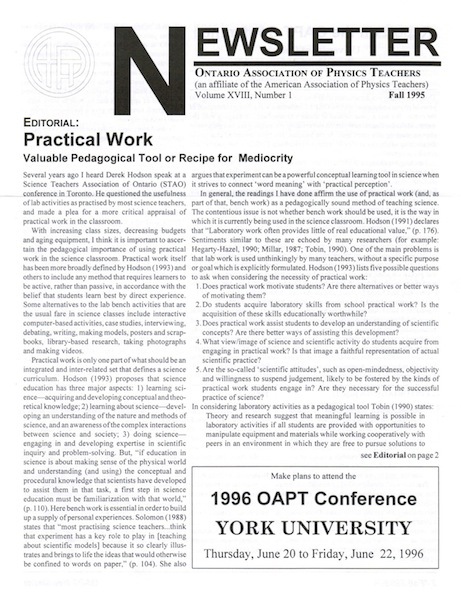 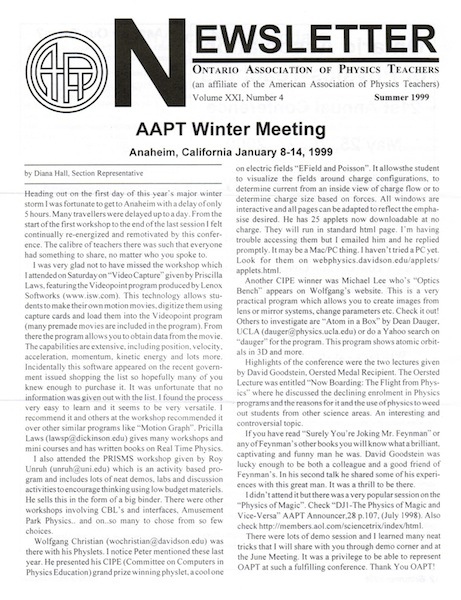 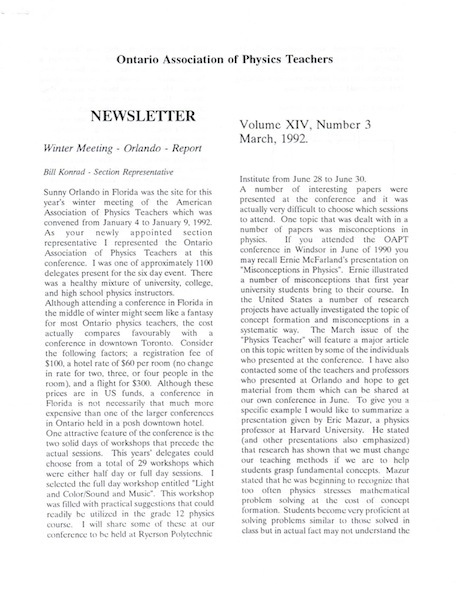 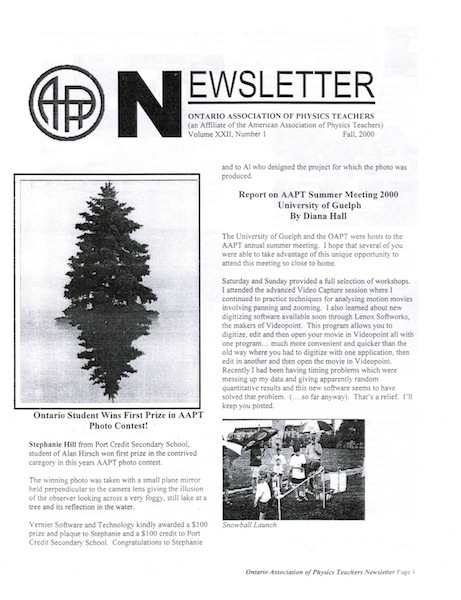 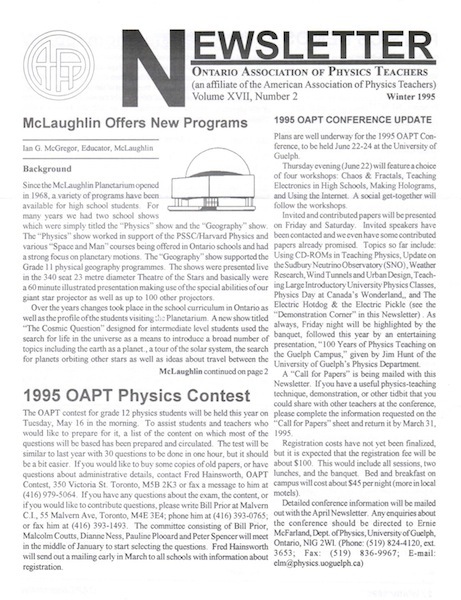 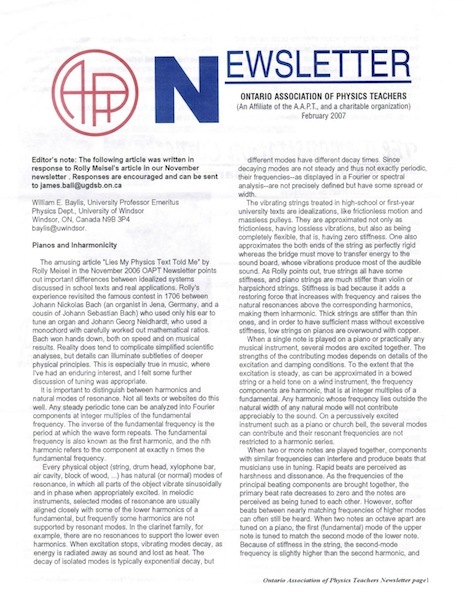 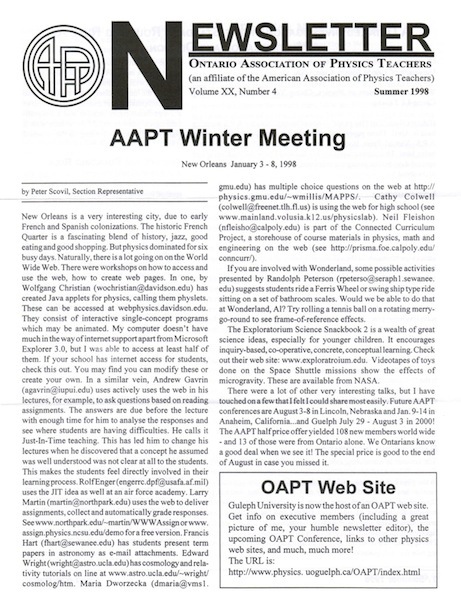 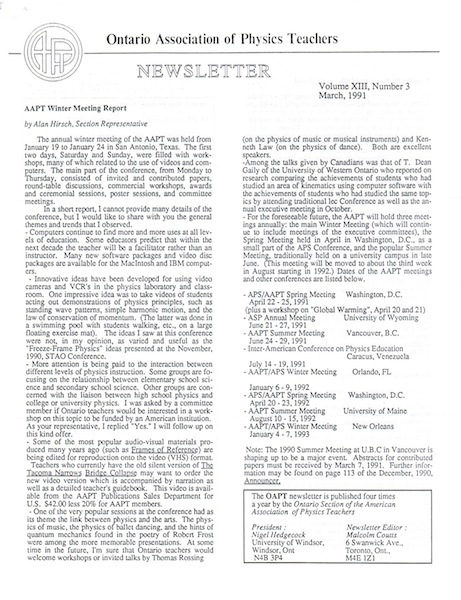 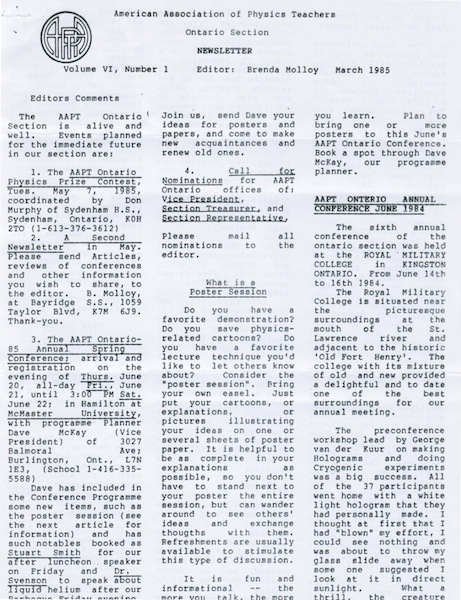 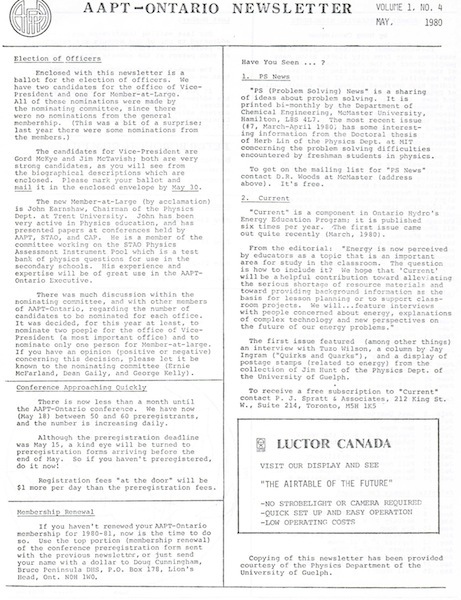 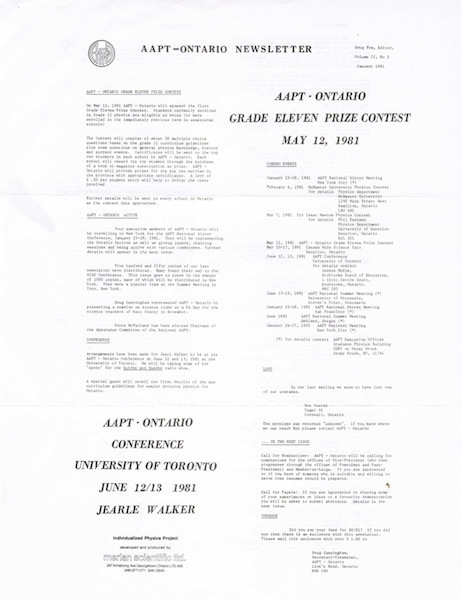 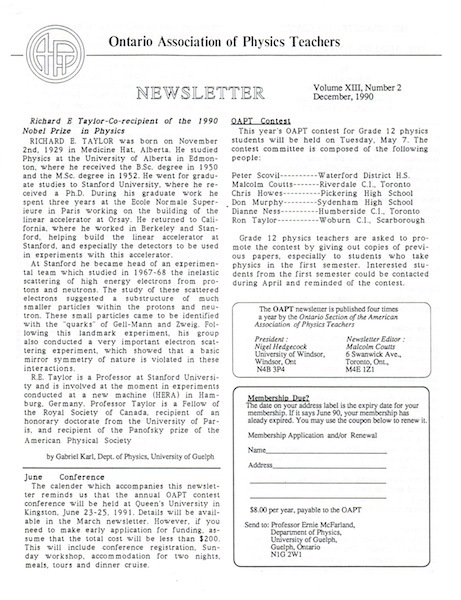 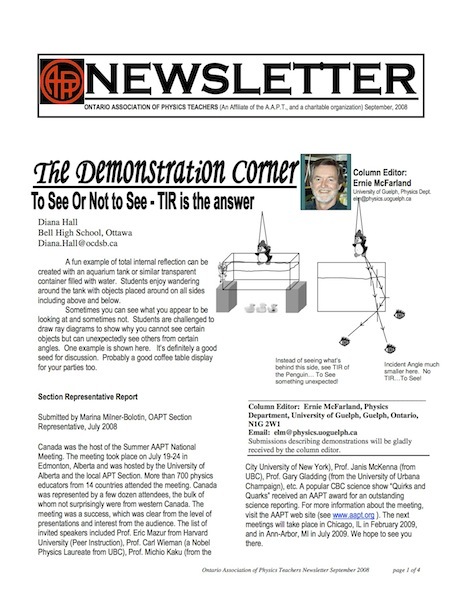 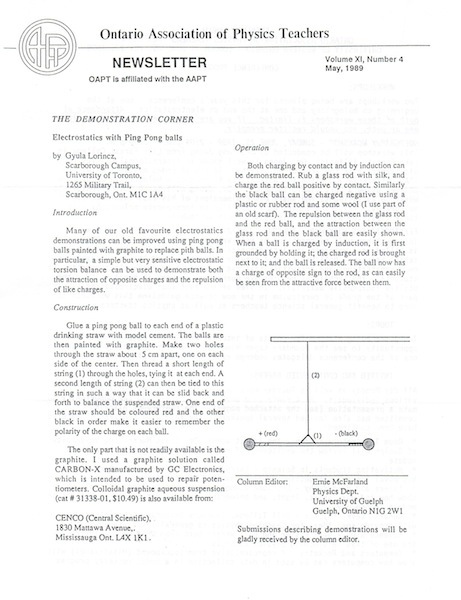 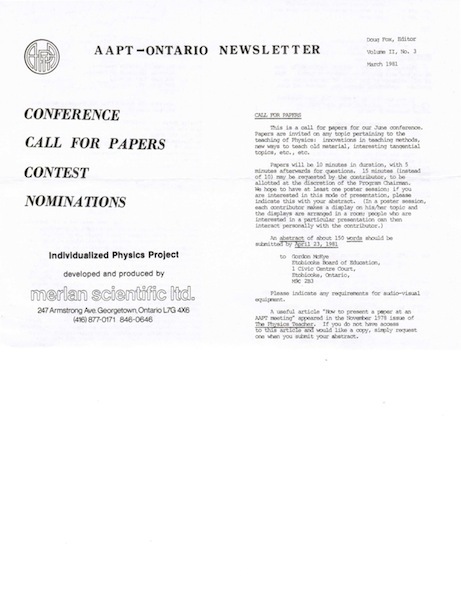 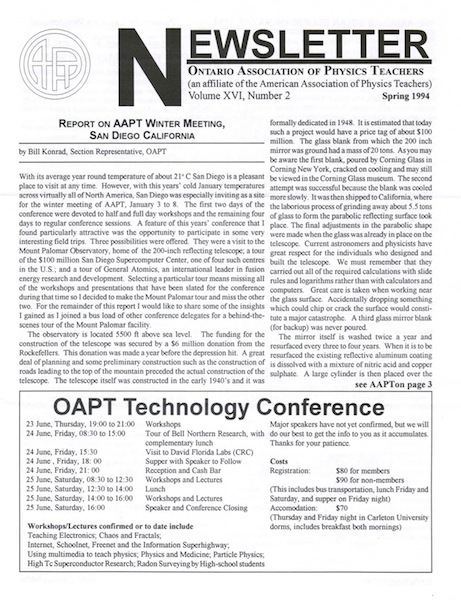 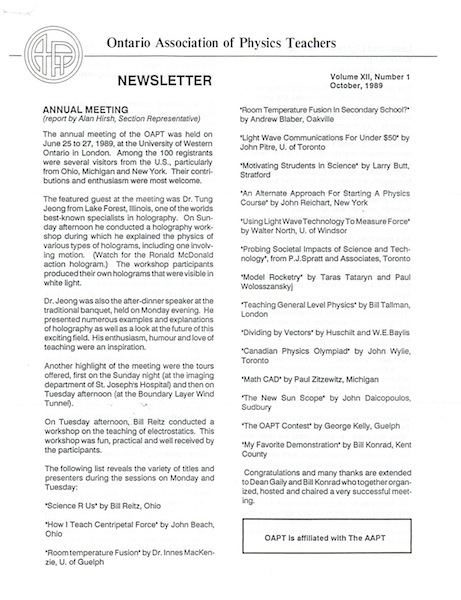 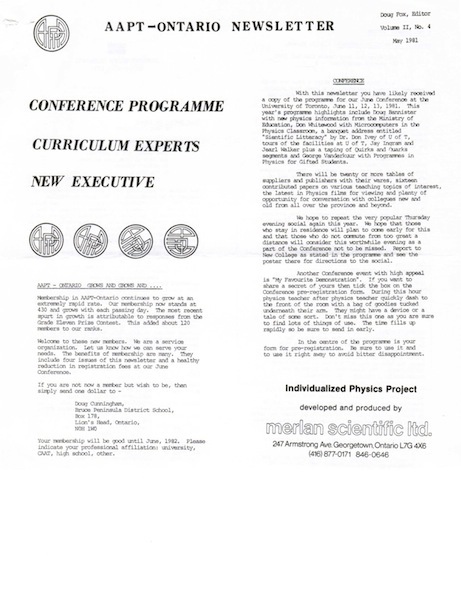 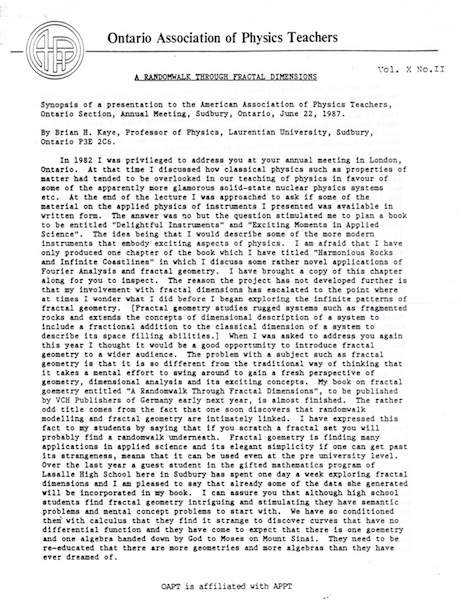 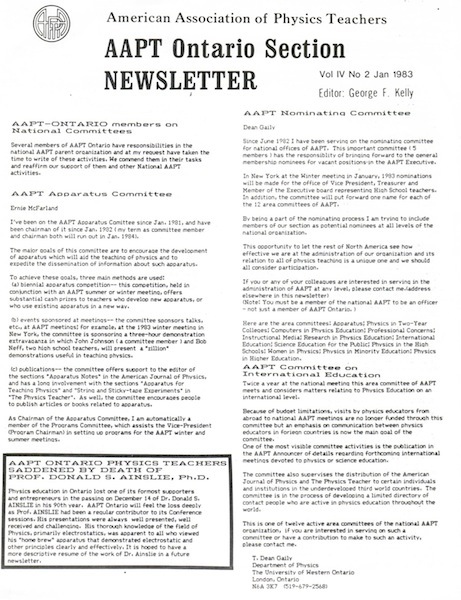 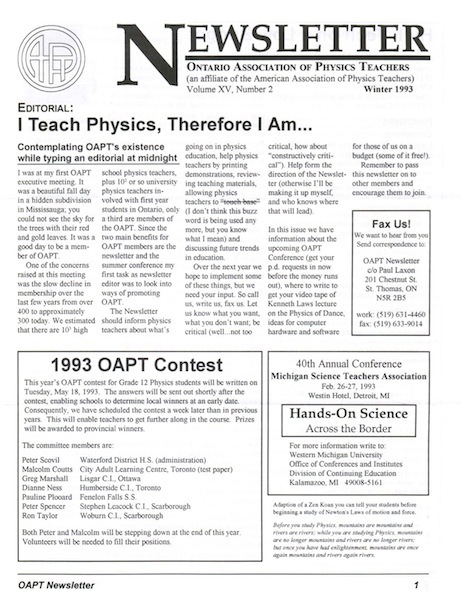 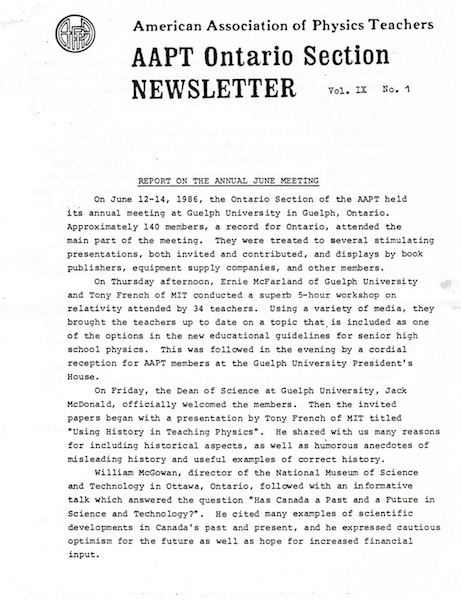 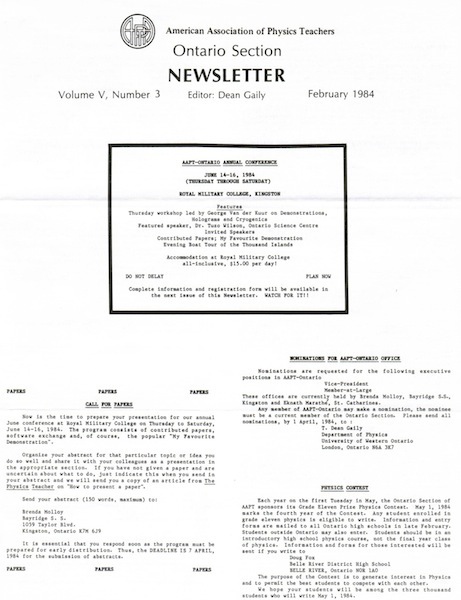 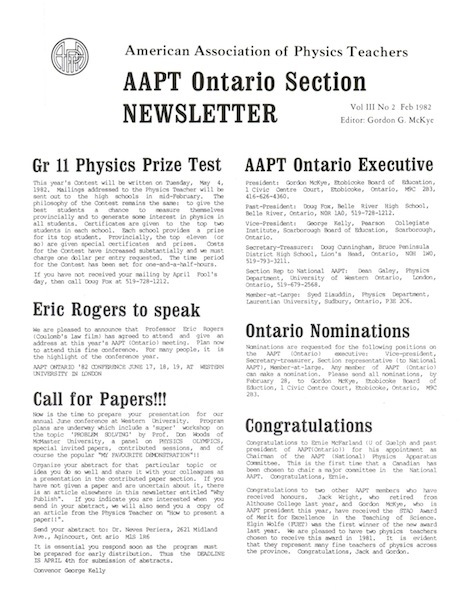 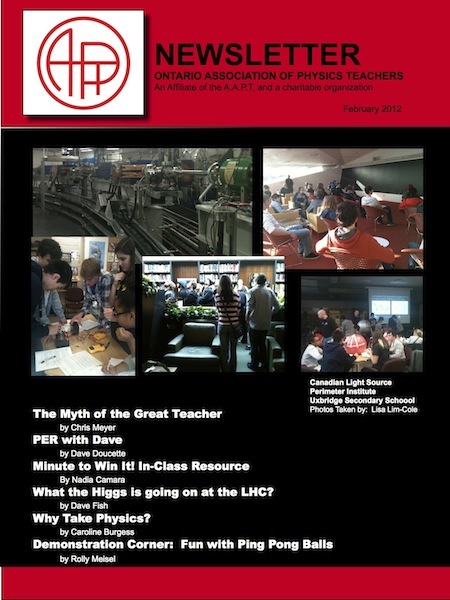 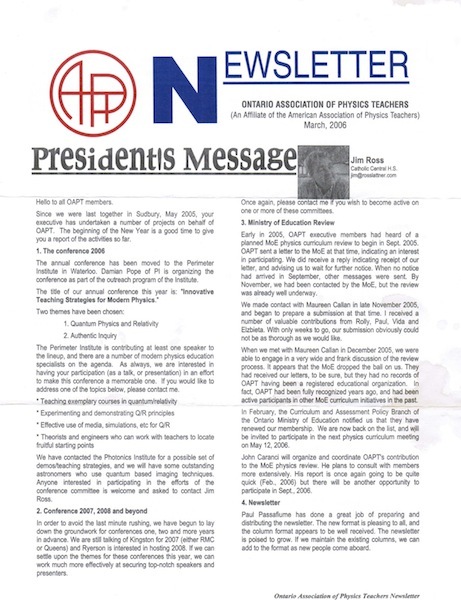 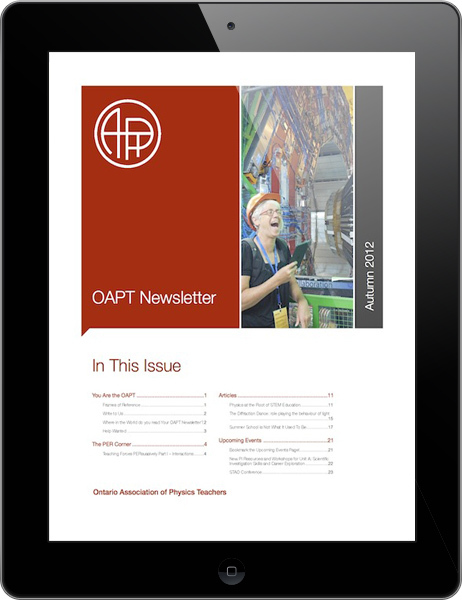 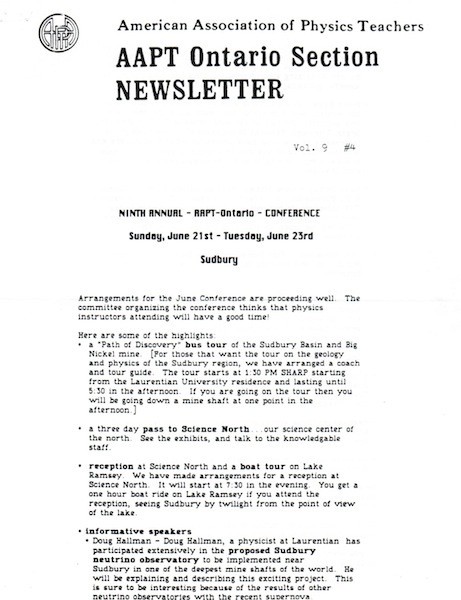 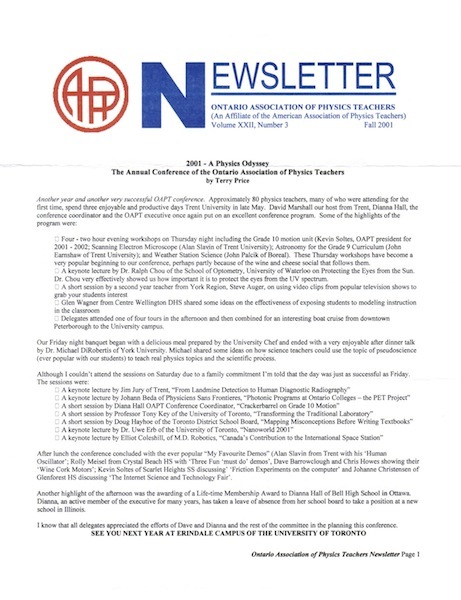 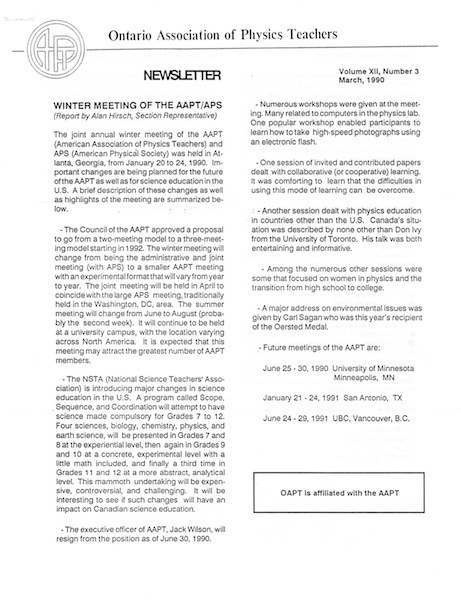 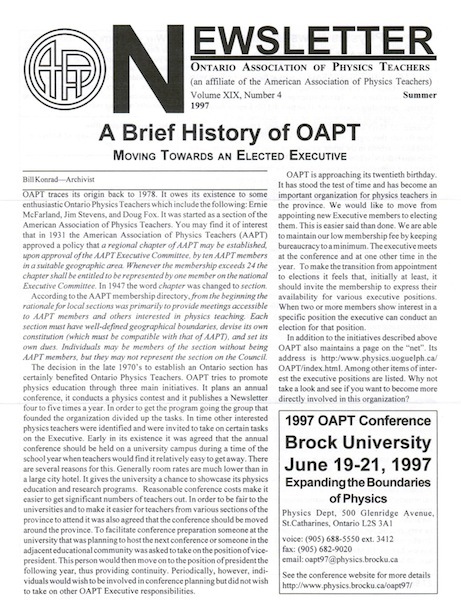 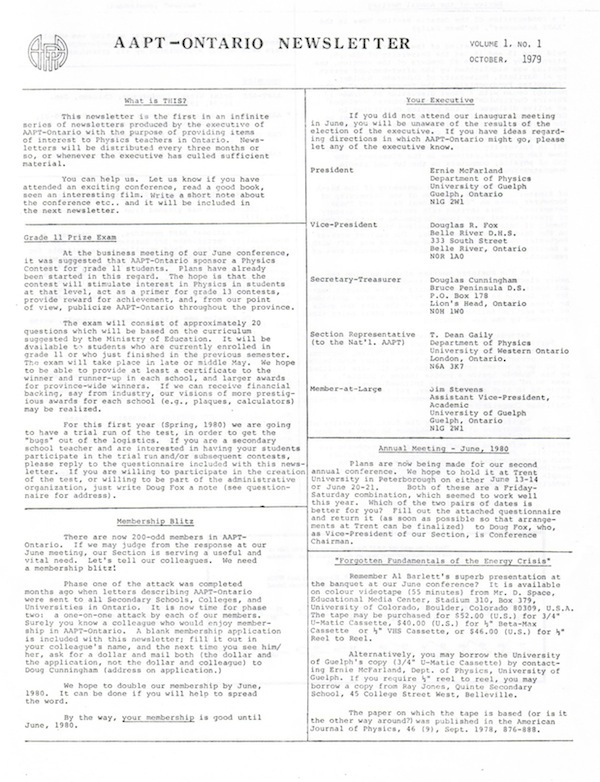 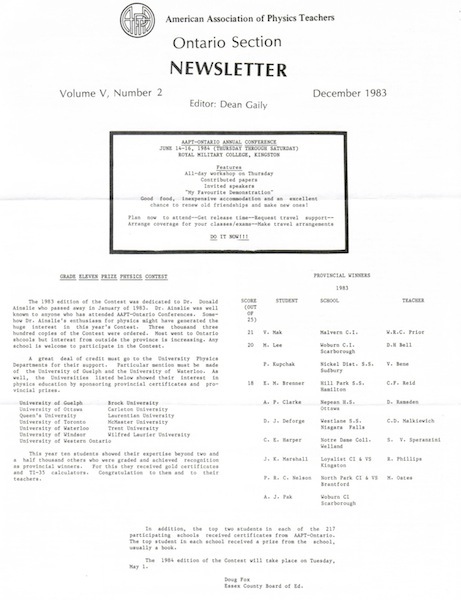 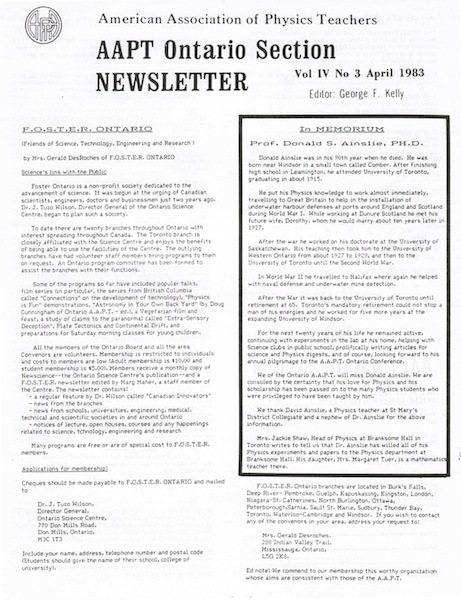 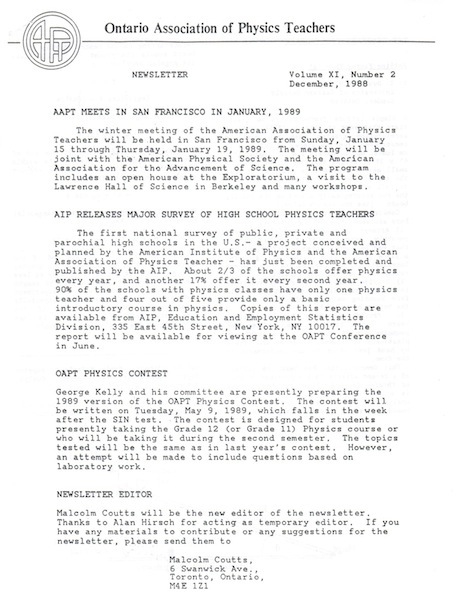 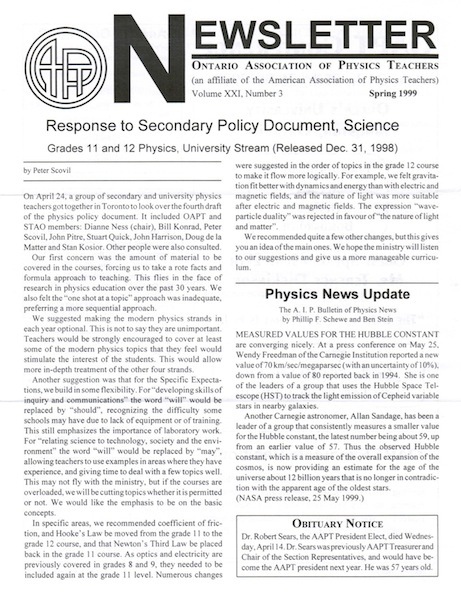 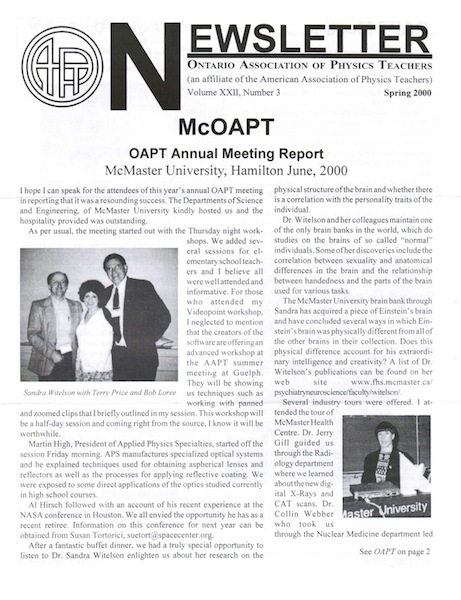 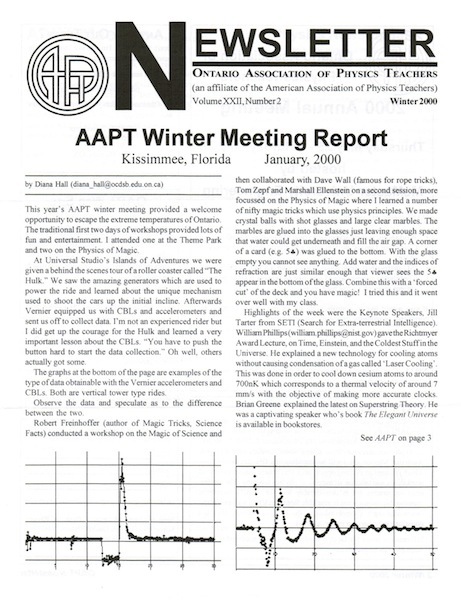 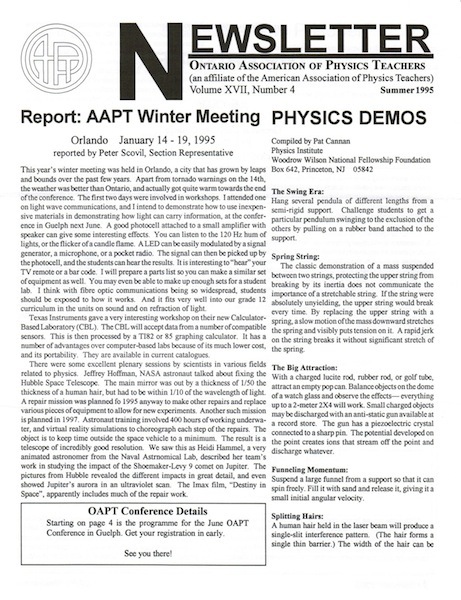 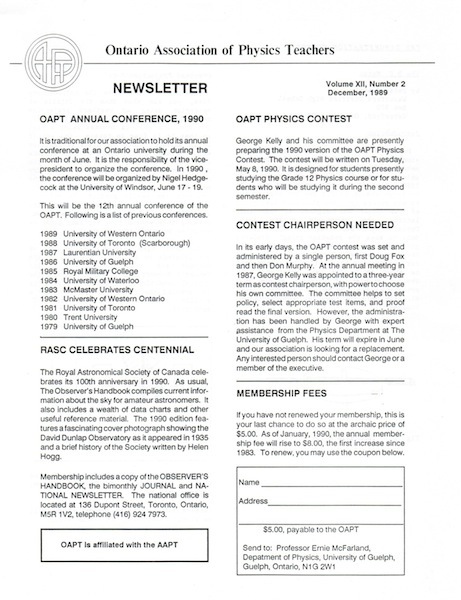 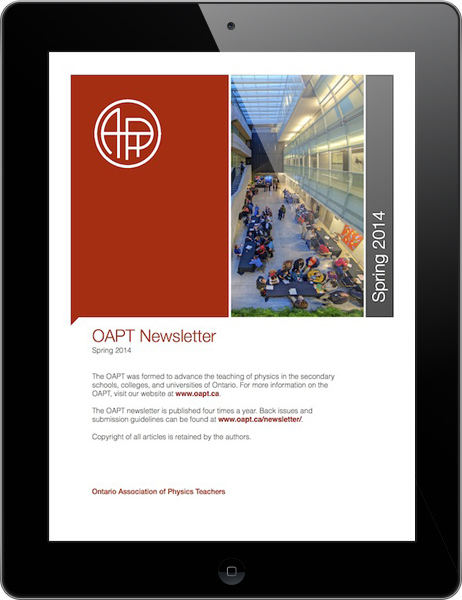 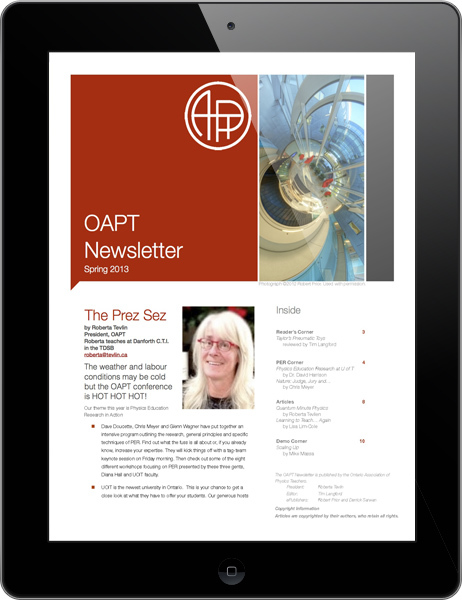 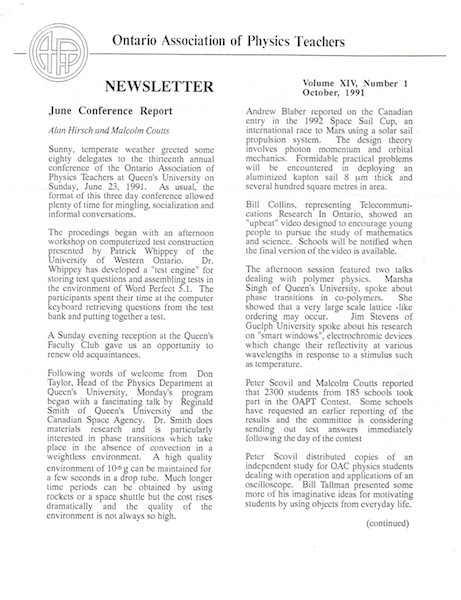 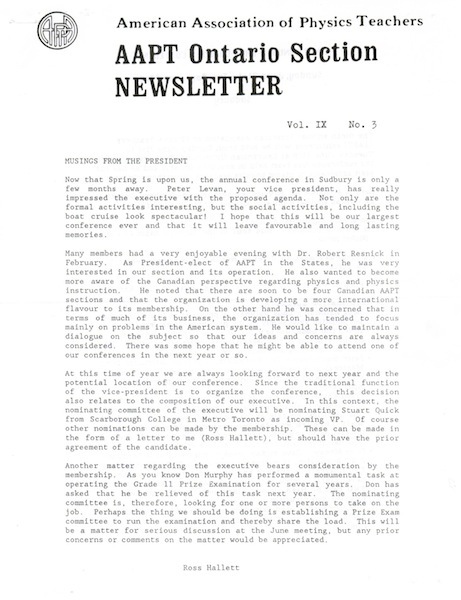 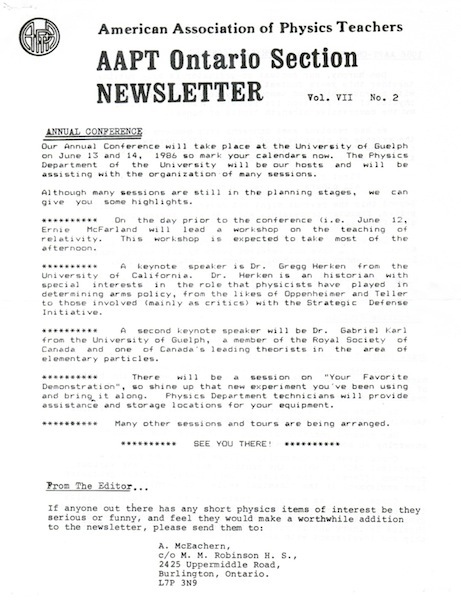 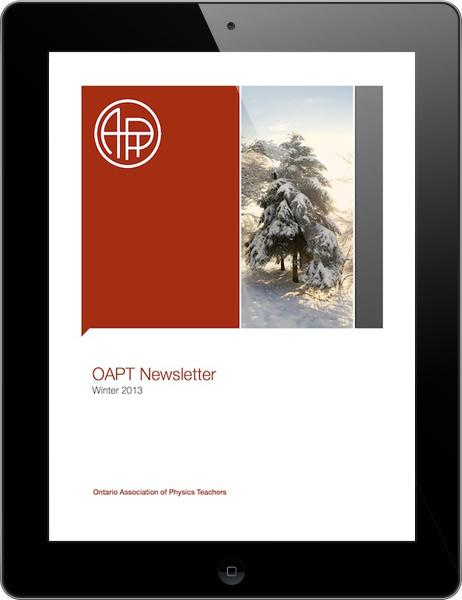 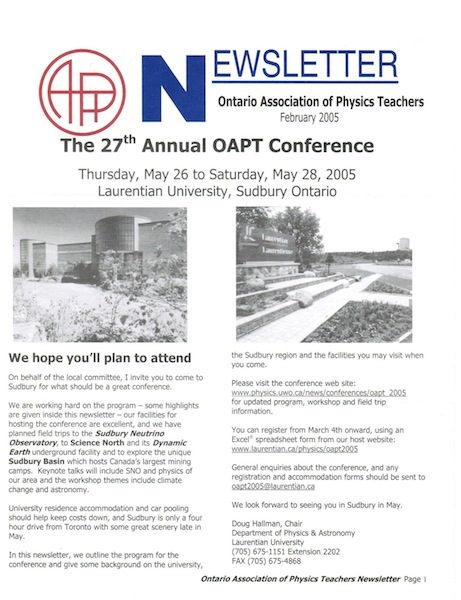 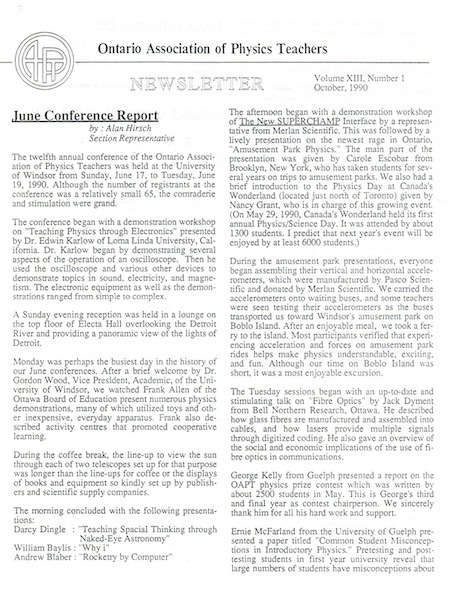 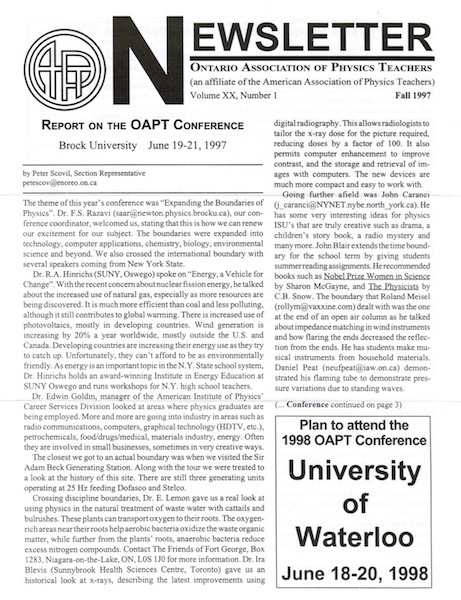 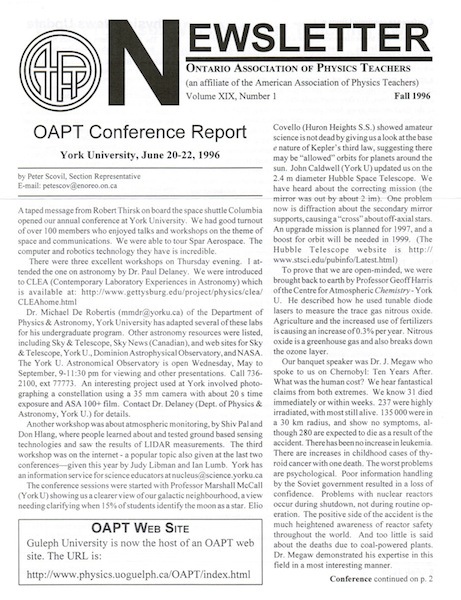 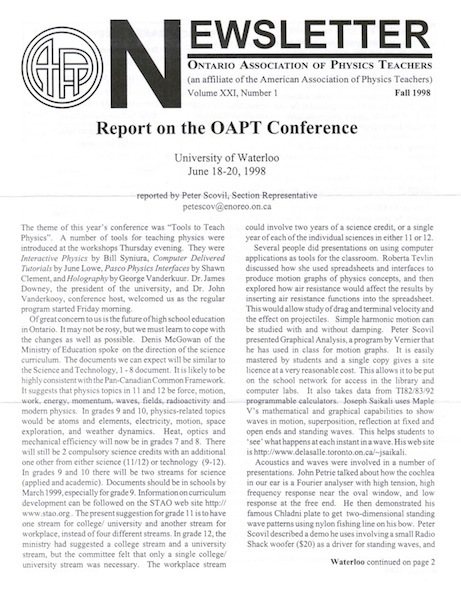 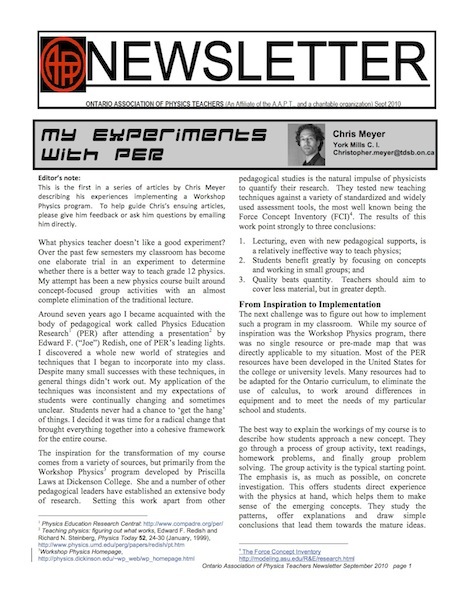 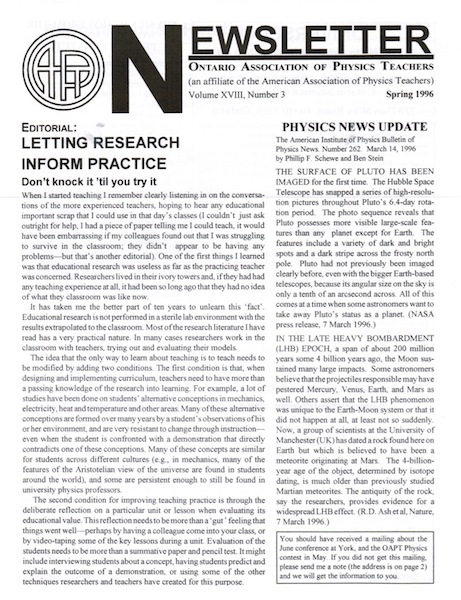 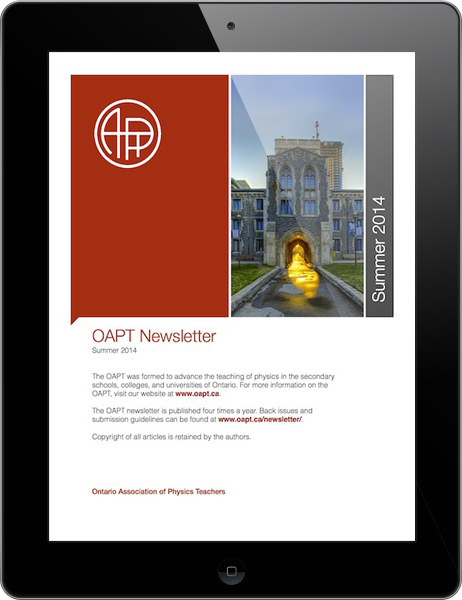 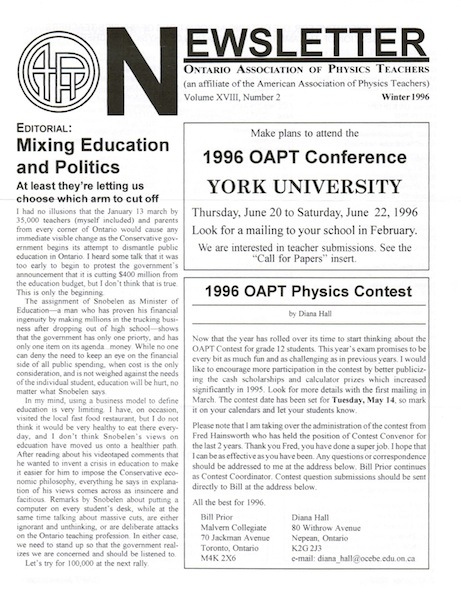 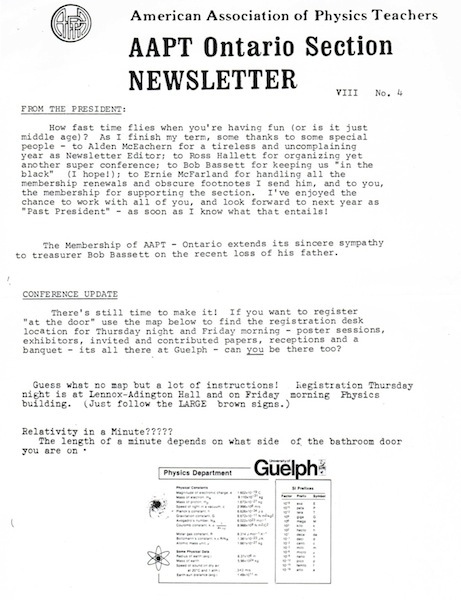 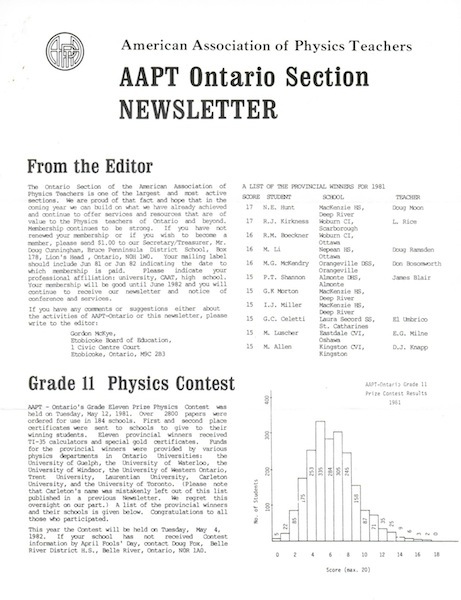 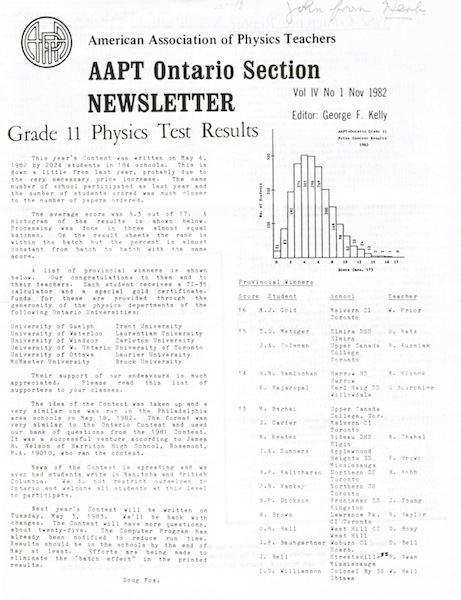 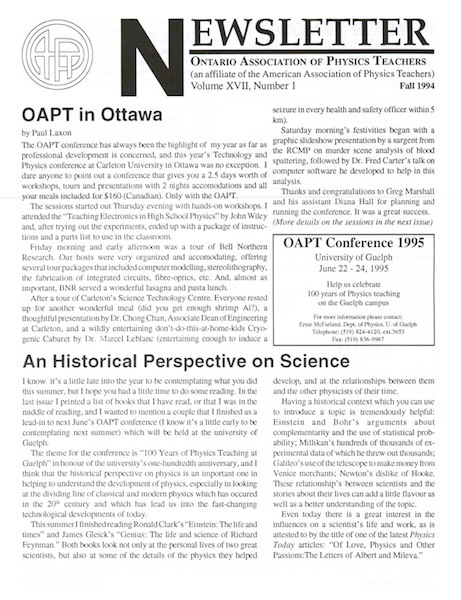 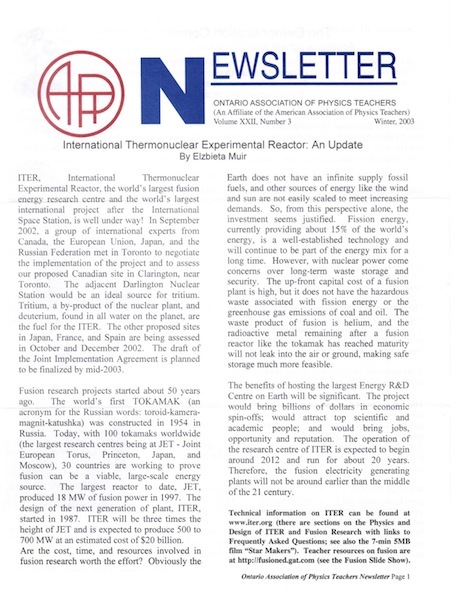 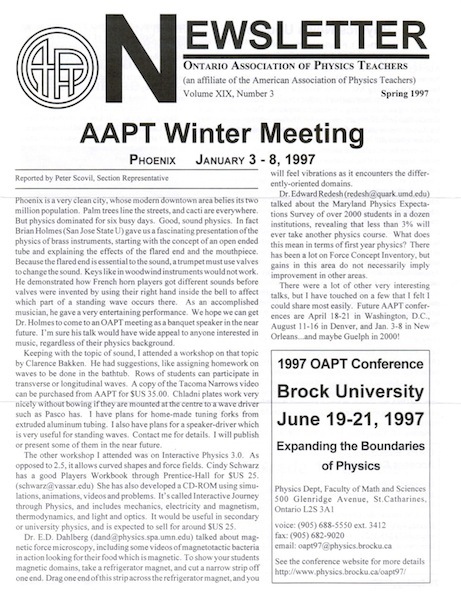 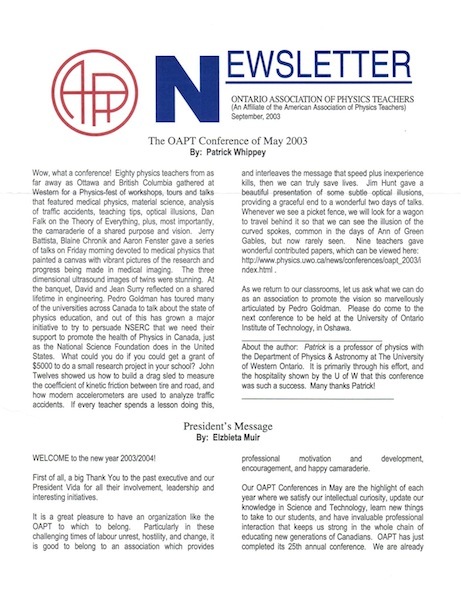 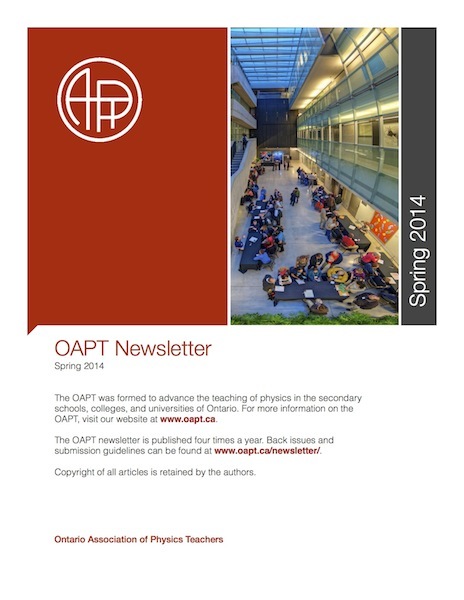 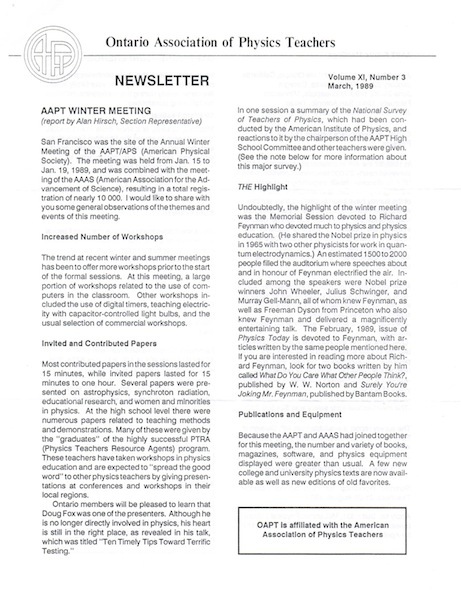 The OAPT Newsletter has been published since 1979, when the OAPT was the Ontario Chapter of the American Association of Physics Teachers. 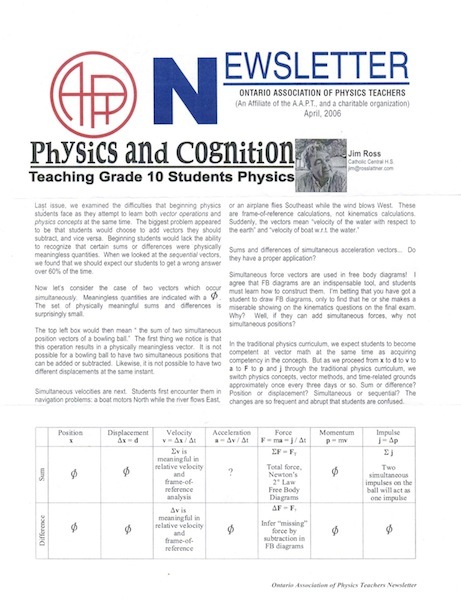 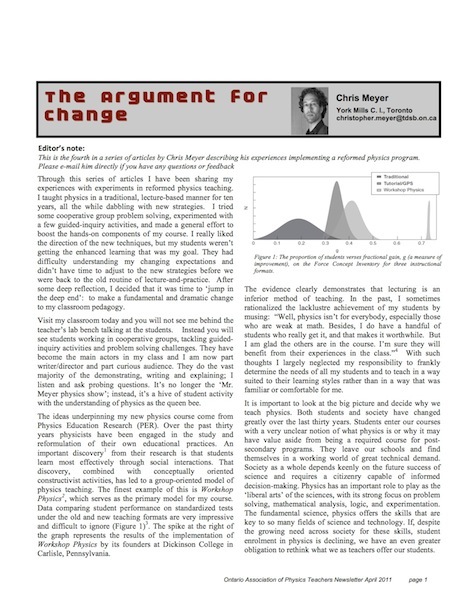 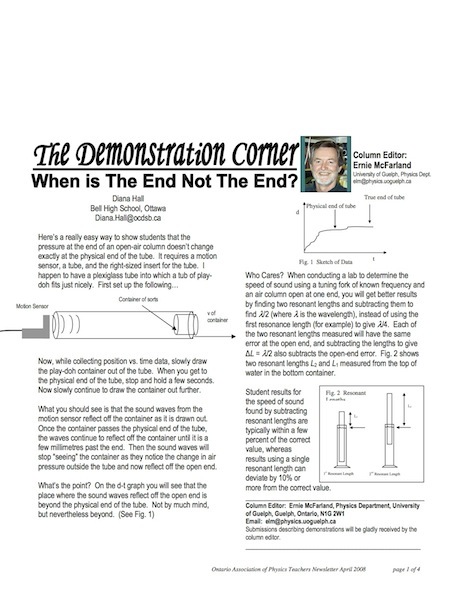 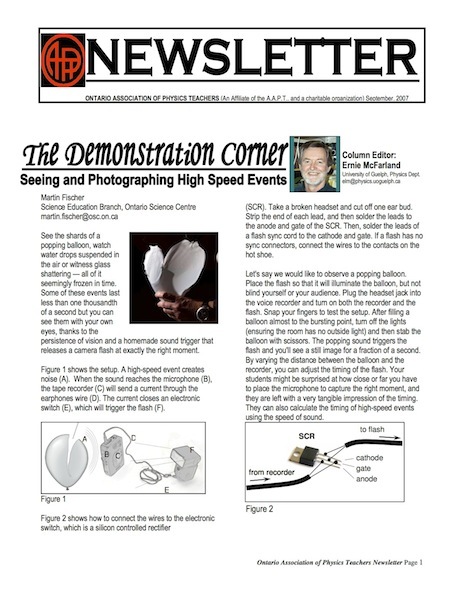 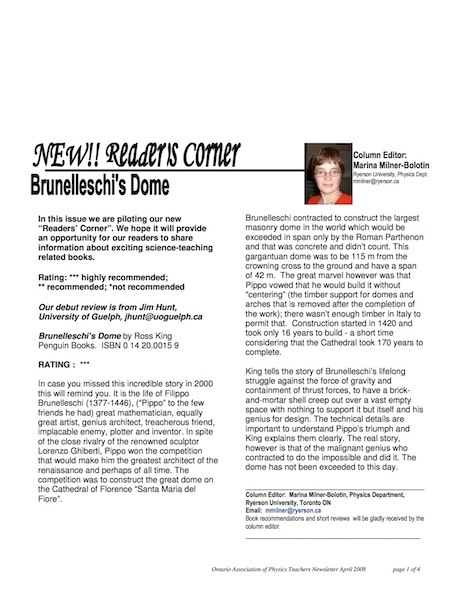 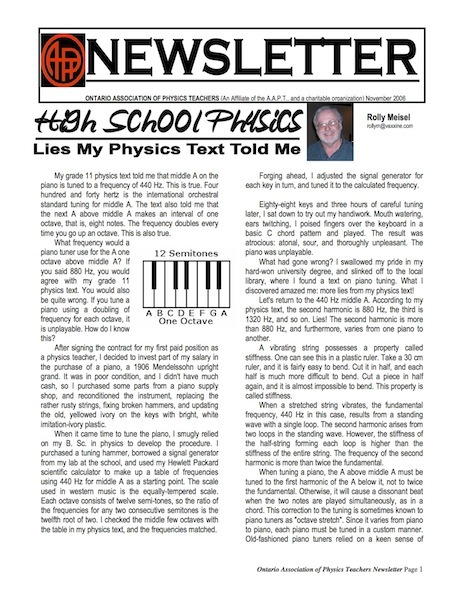 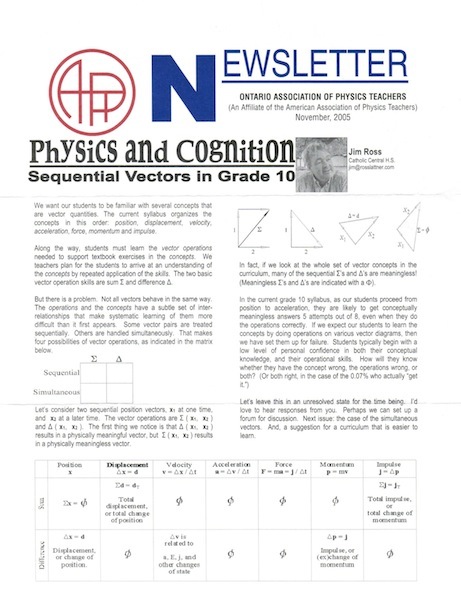 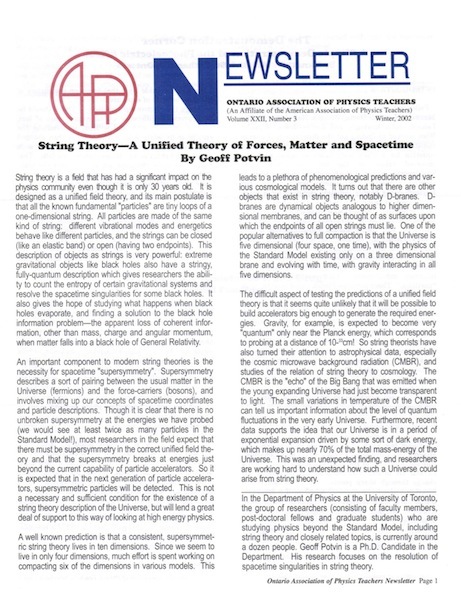 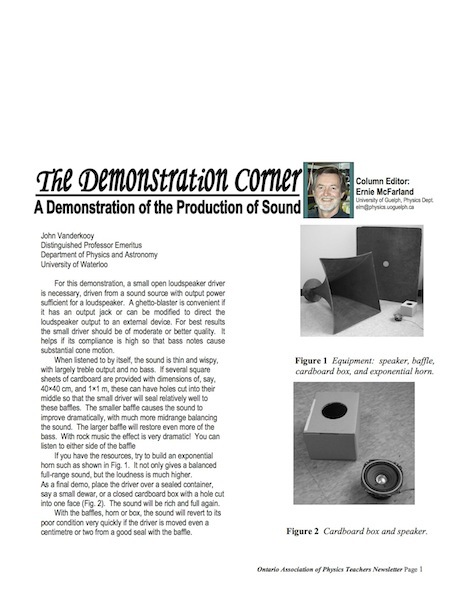 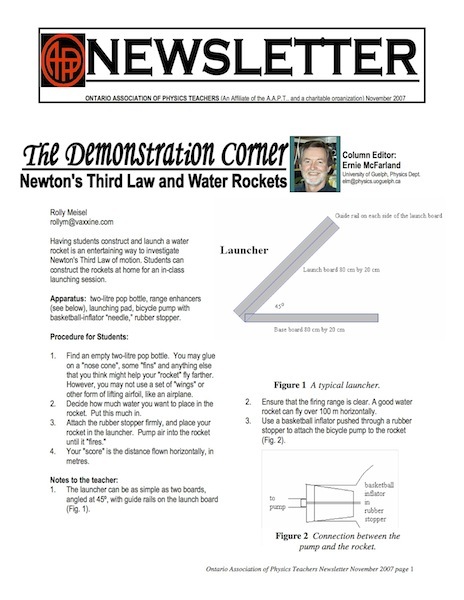 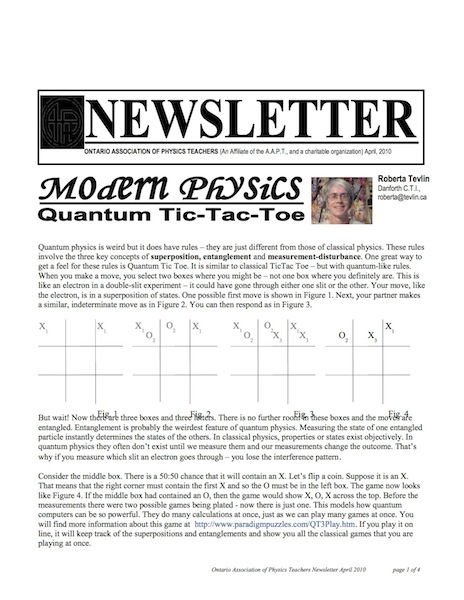 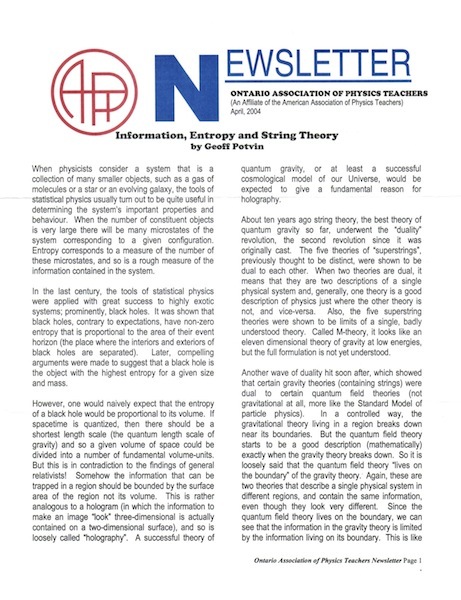 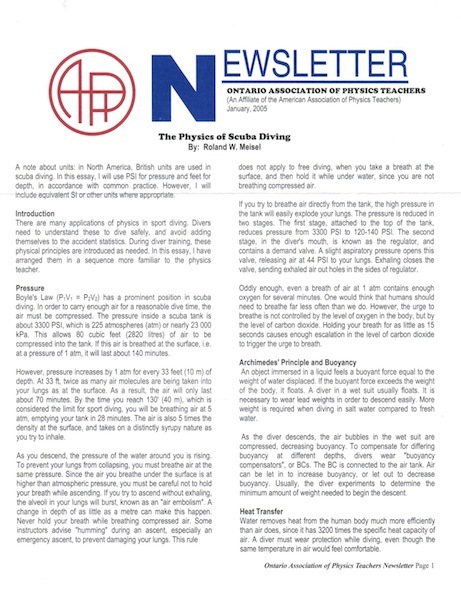 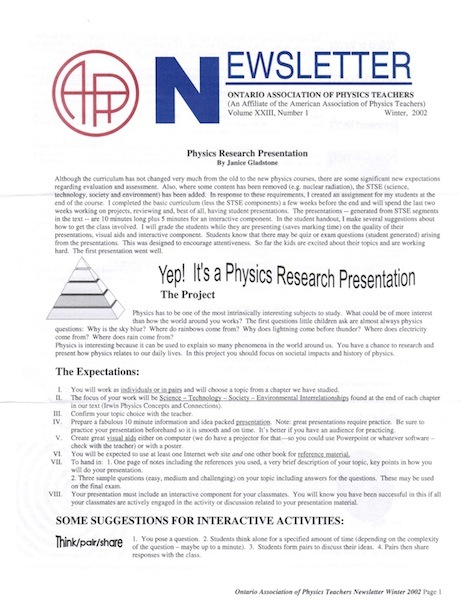 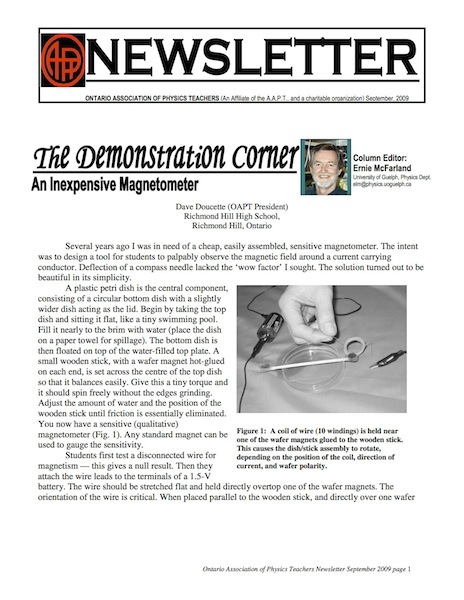 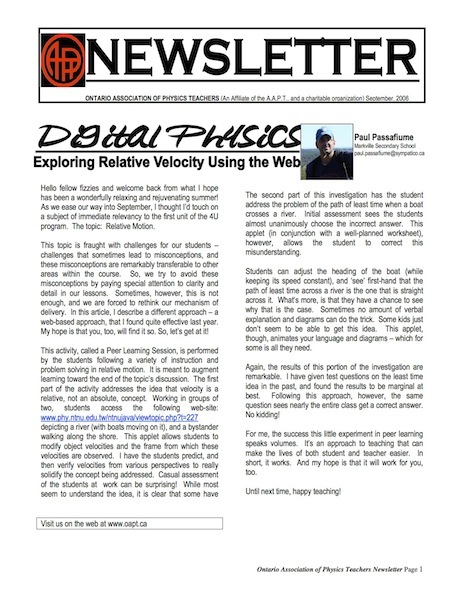 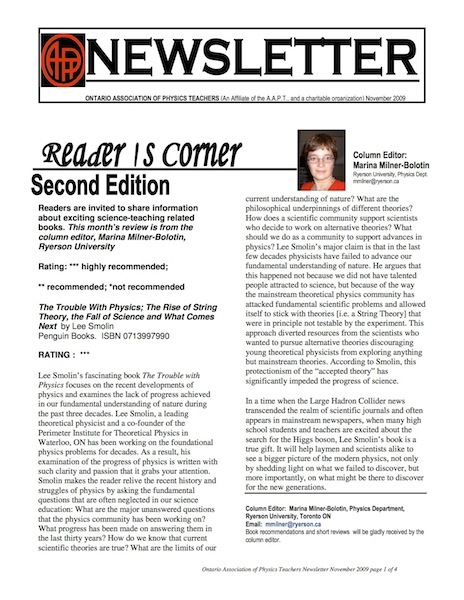 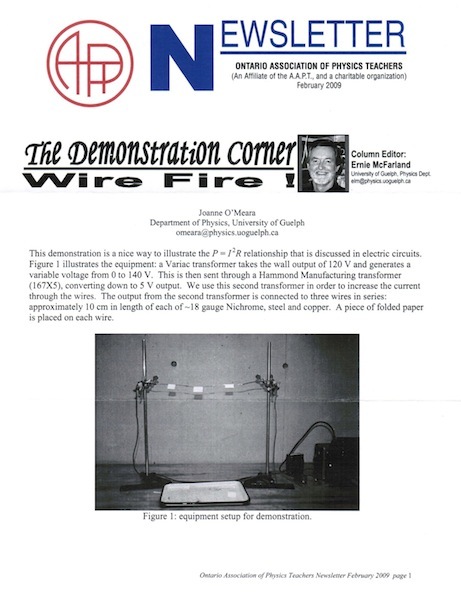 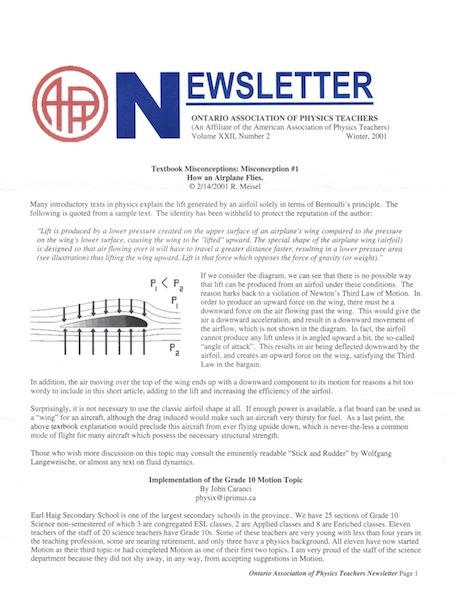 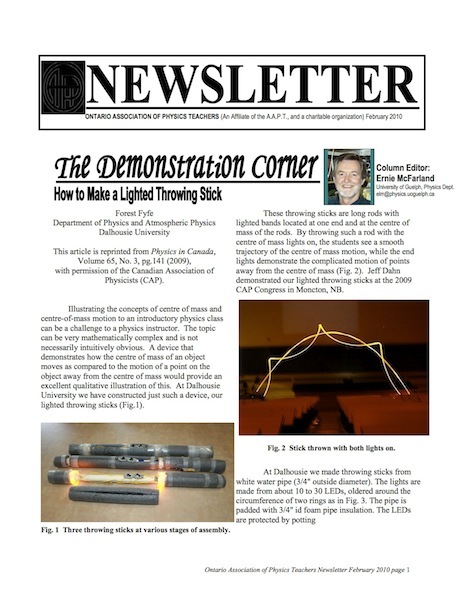 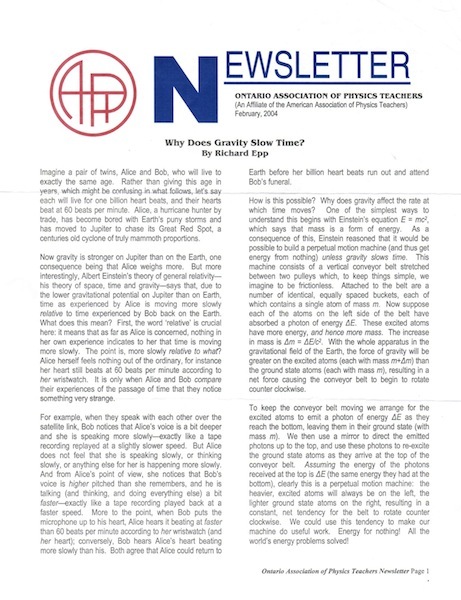 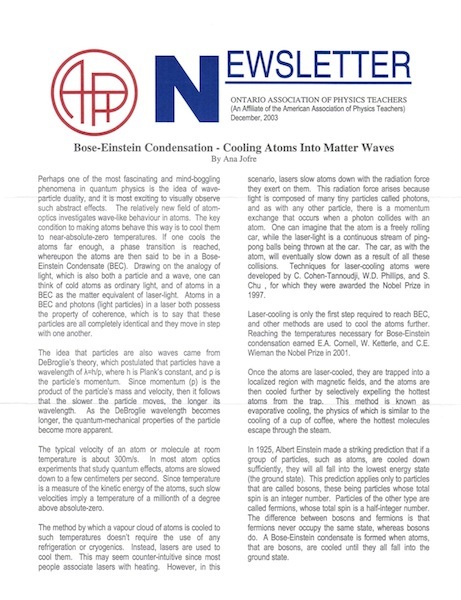 The newsletter shared various physics education news including lesson and demonstration ideas, good news items, resources and experiences relating to physics education and informational items about upcoming events. 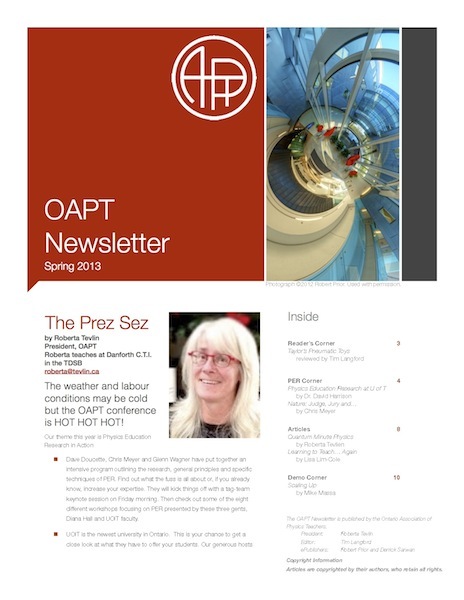 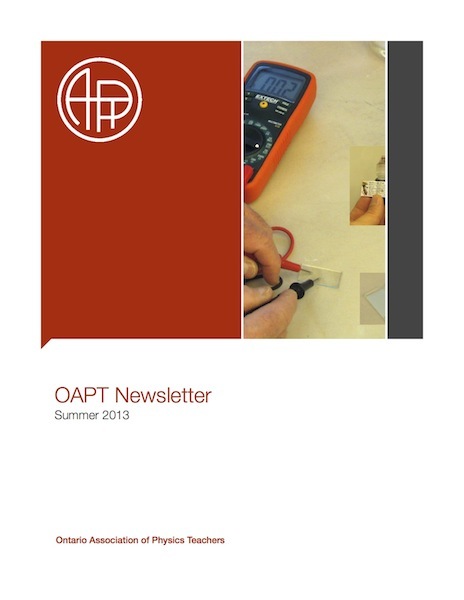 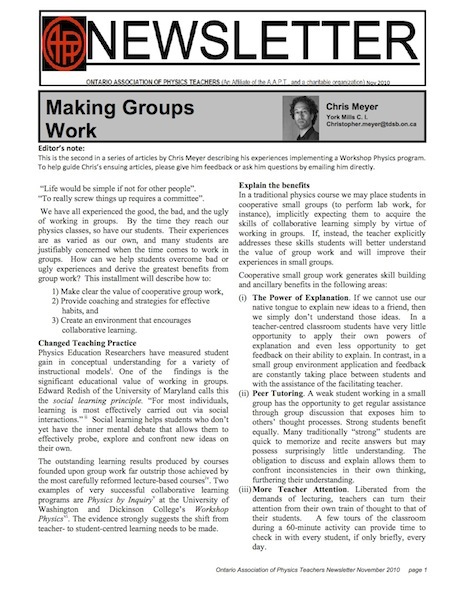 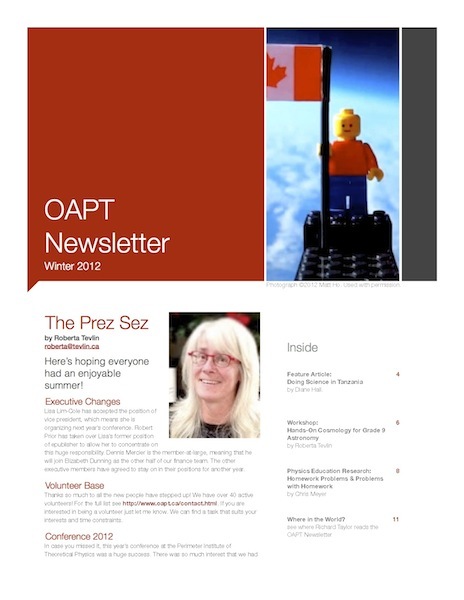 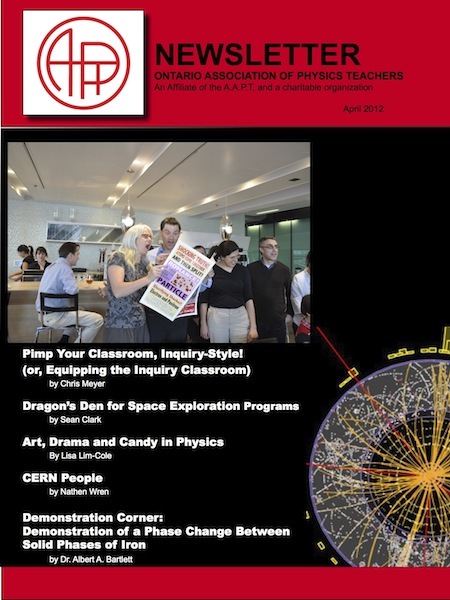 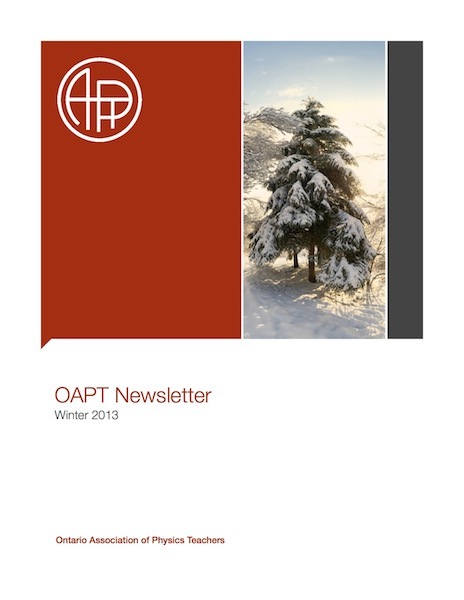 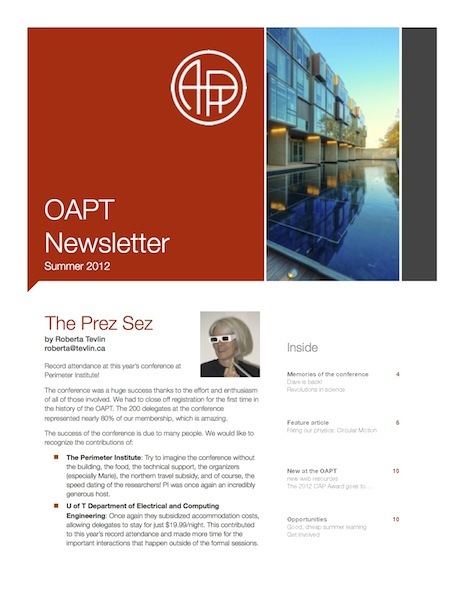 The complete print issues of the OAPT Newsletter are available below, as PDF files.